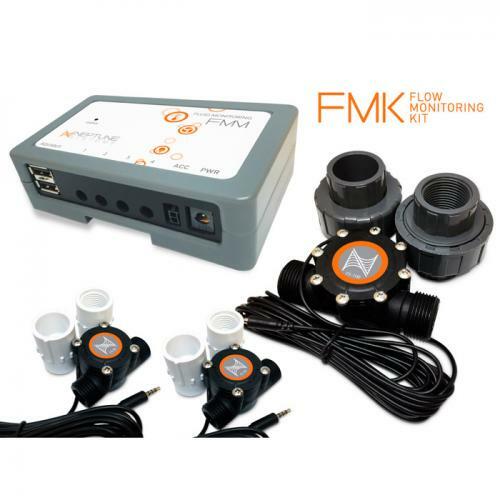 Brief Description: The FMM (Fluid Monitoring Module) included in this kit is a multi-purpose module that, with the help of various accessories, enables your Apex to do: Flow Monitoring, Leak Detection, Water Level Detection, Power 24VDC accessories and Future sensors. Notify me when "Neptune Flow Monitoring Kit" is re-stocked. The FMM has another trick up it’s sleeve. In addition to the four sensor ports, the FMM also has a DC24 accessory port and a power supply input. This adds another controllable outlet to your Apex set up. So, for instance, if you do want to make your own ATO and attach our available PMUP or Solenoid Valve, you can do so. Simply add our 36W 24V DC power supply (available separately).